If you’ve been following the blog for a while, you’ll know that I was lucky enough to win the AngloINFO & British Corner Shop #HomeComforts competition back in November. 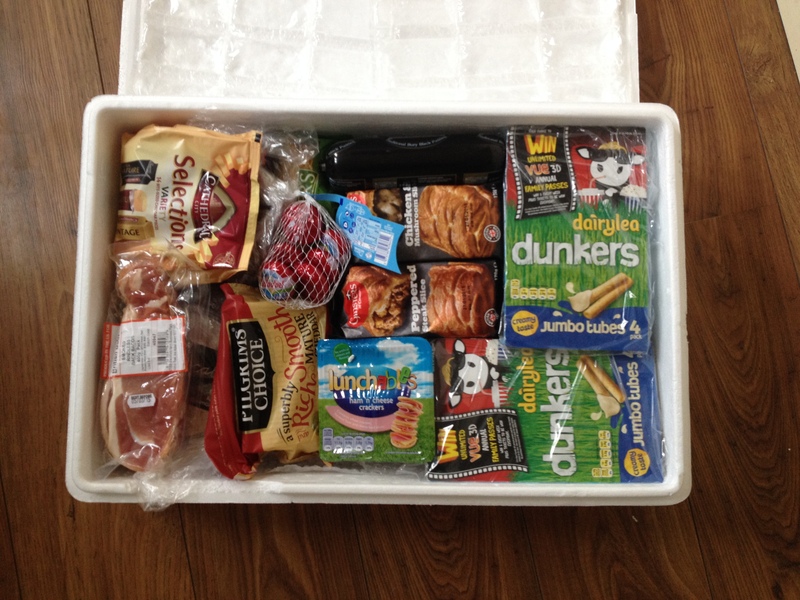 As my prize, I won £100 to spend on British groceries, delivered to my home in the Netherlands, for a WHOLE YEAR! I can safely say that it’s the best prize you could ever give to an expat. EVER! Marmite has to be top of the list for me! You either love it or you hate it – so I speak for at least 50% of British expats here. Best on toast or crumpets. Mmmmmm…. crumpets! This one isn’t so tough here in the Netherlands, you just have to put a bit of effort in and make your own… but I imagine for some expats it could be difficult to get your hands on all of the key ingredients. *Sob*. That fizzy, foamy stuff you drink – technically, that’s lager. English folk drink ale – the room temperature, flat stuff. Want to know the difference between lager and ale? Cider: Ok, so there is cider in Holland: Jillz and Strongbow, but that’s about it. In the UK there are 480 Cider Makers (source). Resulting in hundreds of cider options, and a whole dedicated bay in the supermarket, from traditional scrumpy and fruit flavoured ciders, to the more modern brands like Magners and Gaymers. Beans… sauces… soups. You can get baked beans here in the Netherlands – and if you’re lucky, even tomato sauce. But the soups haven’t made it over here yet… How else is a girl supposed to survive the winter without Cream of Chicken? DAIRY MILK and GALAXY. When you’re homesick: no other chocolate will do! That wafer thin stuff you get at the slagerij (butcher) called spek (bacon)? Just because you call it bacon, doesn’t mean it is. 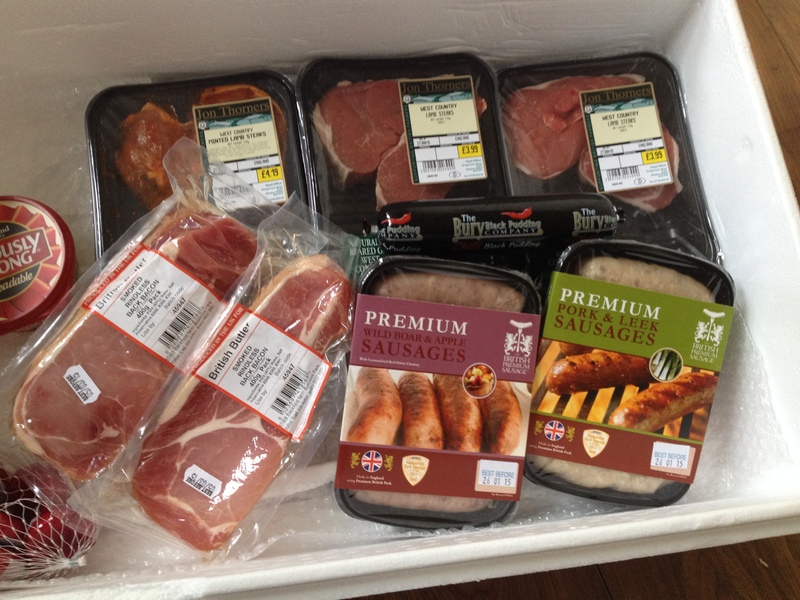 British bacon comes in slabs! Thick and meaty. ‘Nuff said. And what do Dutch expats miss most when they’re abroad? According to a survey by Dutch television station BVN, top of the list of items missed by Dutch expats is herring! Some 9% of those polled said they missed the herring most of all, followed by kroketten (8.6%), cheese (8.1%) and household goods chain Hema (8%). Family and friends came in only fifth place, with 6.7% of the vote, followed by cycling (6.5%), Dutch bread, cakes and biscuits (2.7%), the warm atmosphere (2.2%), Sinterklaas (2.1%) and things to eat on bread (2.1%). Source: DutchNews.nl. What do you (or would you) miss the most if you live(d) abroad? So funny to read! When I lived in China for a year, the foods I missed most were bread, cheese and chocolate.. The Chinese didn’t understand bread shouldn’t be sweet, haha. I found the key to expat-happiness is not to find crappy Chinese chocolate instead of European chocolate, but to replace it with a Chinese delicacy, such as caramelized fruit-kabobs. Yum! Maybe you could try this method! 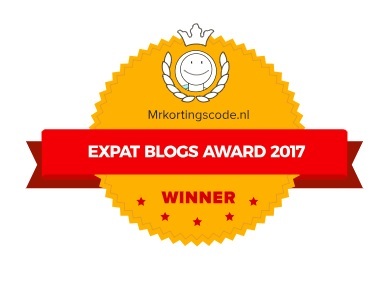 I always thought we dutch miss DROP the most as an expat? Question: what do you think about the dutch stamppot? Yeah, I know! I was really surprised that drop didn’t come up in the survey! Stamppot: lumpy mashed potato with veg chucked in! 😉 I like it though, we eat it once a month or so in winter. Currently as a British person living in the Netherlands, it’s Dairy Milk, proper baked beans and Branston. And non-sliced bread! I really miss being able to cut huge thick slices of toast, with lashings of butter and baked beans. Ahhh! Just a quick tip for the bread – at AH (my fav supermarket) you can ask them for their fresh-baked bread non-sliced :). Most bakeries will provide non-sliced as well when asked. I’ve seen marmite in a supermarket here in the Netherlands. I don’t know where, I think in the AH or emte. I don’t even know of it is the same as in Great Brittan but it’s something. Sorry for my bad english, I’m not so good at it in school. Ohhh thanks, that’s nice to hear. Maybe in an AH near Hilversum. Good luck with searching. The AH, Hoogvliet and Jumbo sell Marmite. Here in our AH it is placed between all the other spreads (like jam and peanut butter). I was amused by your list as I am In Canada and would miss pretty much all the same things. Except Marmite. My Mom loved it I never could get around it. In Canada Salt and Vinegar chips are very popular too. The big AH’s in Amsterdam do have marmite. And Maria beat me to it – I was also going to suggest a Halal butcher for lamb – sounds like you need to make a trip to the Dam 😉 Also a half decent roast lunch or brunch can be found at O’Reillys Irish pub behind the palace. You might want to check out Amsterdamsestraat/Kanaleneiland here in Utrecht for the Halal butchers, etc. There’s also Irish pub Mick O’Connels off Domstraat that does a decent fish and chips. You had me at cheddar and bacon! I’ve been well supplied in ranch dressing packets and spicy taco mix from my friends and family in the States, but we don’t often get Cheddar Goldfish crackers – which child and adults will eat a bag in no time if we’re lucky enough to receive one! I live in the UK and what I miss most from the Netherlands are sandwich filings. Filet American (raw meat), gekookte worst (boiled sausage) and rosbief ( beef) there is more choice in the Netherlands I think. BROTHERS TOFFEE APPLE CIDER! The best cider in the whole world! Boks ouwe! What a fun insight on the British food culture. Cheddar cheese and bacon, I hear ya! I used to have dreams about that stuff. I hear ya on most of your list. (not a marmite fan 😉 ) thank god you can start to get Twinings at quite a few supermarkets now, although not their complete range. I go to the Sligro or Hanos to get mine, but have seen them at local stores selling teas as well. AH has been my saviour for quite a few products for which I miss from abroad, but you have to go to the XXL’s, or online for most products. They even have a small range of lambproducts (sorry to say not complete – the turkish supermarkets as mentioned before are great alternatives). What I would miss from holland? Only the kroketten, but thankfully have a recipe to make them myself when abroad. (I’m a TCK kid). Hey! I just read your blog as a dutchie in holland, while writing a tip-list for visiting american friends. It’s very entertaining, so to help you back, here’s a tip: De Kingsalmarkt in Amstelveen. Go there. It’s specifically catered to expats, mainly Brits, and has, among others, marmite, heinz soups and a range of british tea brands. One warning, it’s not cheap. Good, but expensive. It’s fairly easy to reach. Another tip, while in Amstelveen. Do it on a sunny day and head over to Loetje aan de Amstel. You know Loetje, now go have that same food, but on the beautiful Amstel. Last remark: you ARE a foodie, and loving KFC takes nothing away from that! Would love to visit Amstelveen though, thanks for the tip! 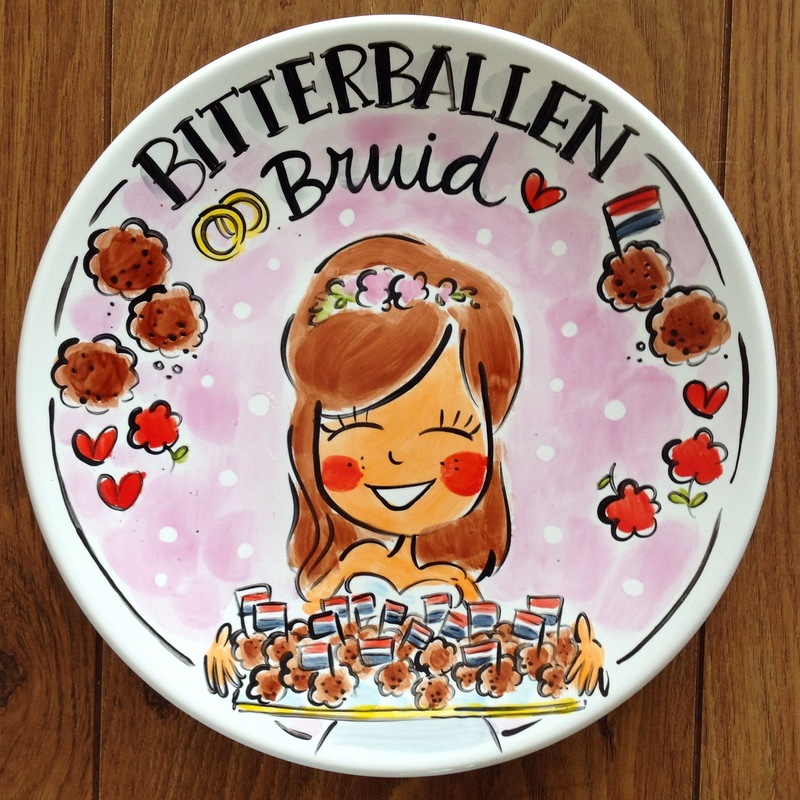 If I were living abroad I’d probably miss our liquorice, pepernoten, sinterklaas, the cycling and the boerenkool! Thanks, Wendy! I’ve never seen Dove, but I will look out for it now. Welcome to the Netherlands! 🙂 Compared with the UK, public transport is cheap here!